Heat a kadai, add oil, urad dal, red chilli, asafotida. Saute till urad dal turns brown. Off the stove and add left over ingredients above and cool it. Grind in mixie/blender to coarse paste with salt. 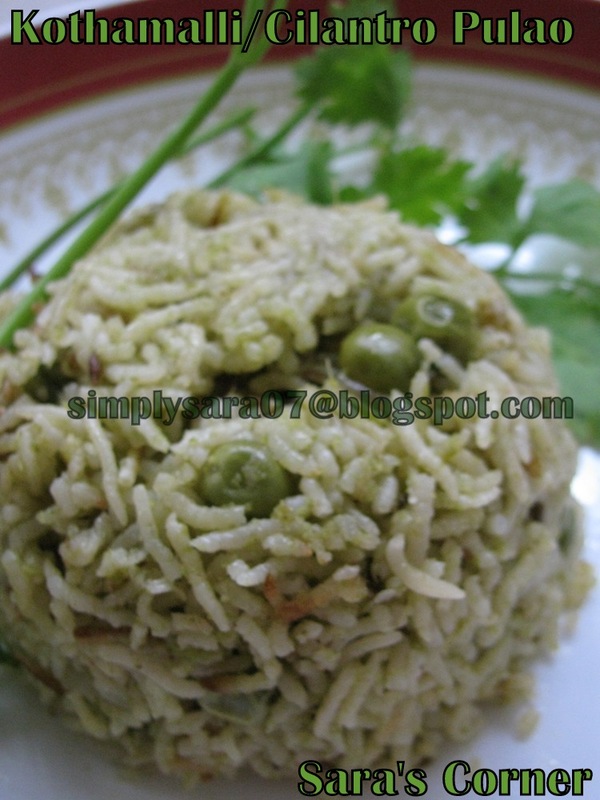 Serve with Idlis or Dosas. 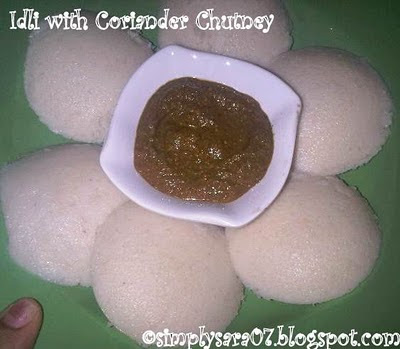 My next post will be recipe for Idli. This recipe along with Coriander Pulao is going to Herbs n Flowers Coriander by Krithi and PJ. looks very perfect and yummy !! Beautiful and tasty chutney.. You can send this to the event at my blog this month..
Wow,nice recipe,I love urad dal and coriander combo! Tastes and smells divinely! healthy n yummy chutney...perfect with idly! i too make it in the same way. All time fav with idli/dosa. Just love this chutney with dosas.. Perfect and yummy chutney !! lovely combo...perfect for any meal ! Love it. Yum yum with rice. Thank you friends. Yes Krithika I am sending this to ur event.